Treat your guests to an unique experience by having one of In Harmony's henna artists at your next party or event. Your guests will revel in the sensuality of Mehndi as the powdered leaves of the henna plant is applied to the skin in an all natural paste made of the henna plant, lemon juice and cajeput & eucalyptus essential oils. The henna paste dries in a few minutes and can be flaked or rubbed off, but the darkest stains come from leaving the henna on as long as possible. Each freehand Mehndi is a unique design inspired by botanicals, geometrics and traditional mehndi designs. 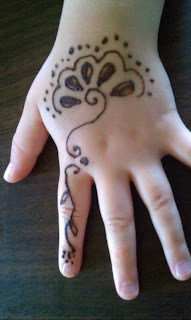 For $75 an hour our henna artist will create a small ambiant area and provide temporary henna tattoos to your guests. Belly Mehndi is believed by some cultures to provide protection for the mother and unborn baby. 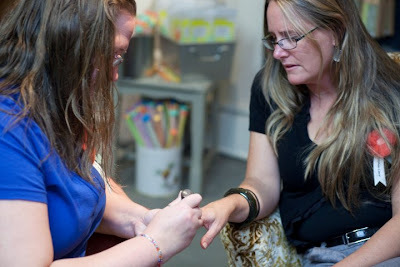 The application proccess is a very relaxing experience as the mother-to-be has to sit back, relax and enjoy the scent of pure essintial oils while the henna is being applied. 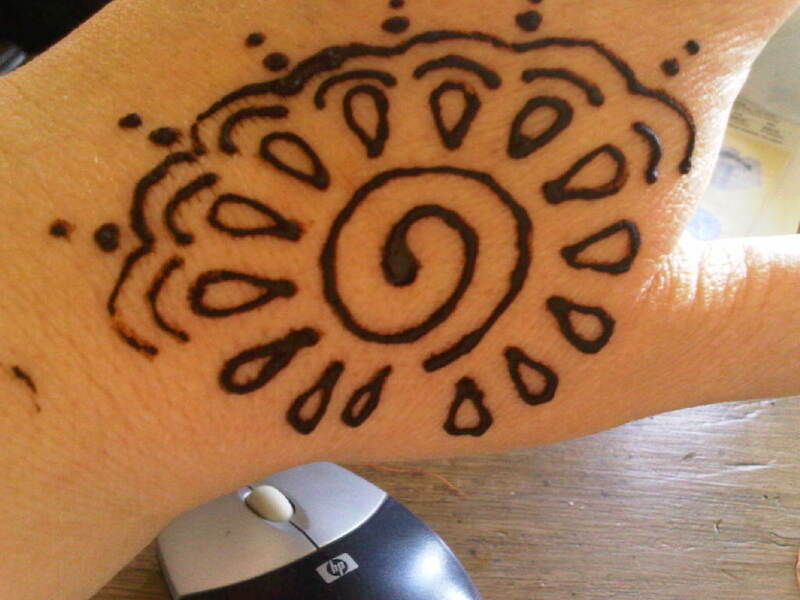 Our Henna artist will come to your house (in Sonoma/Napa counties) and henna your belly while you take a moment out of your day to relax and savor the blessings to come. 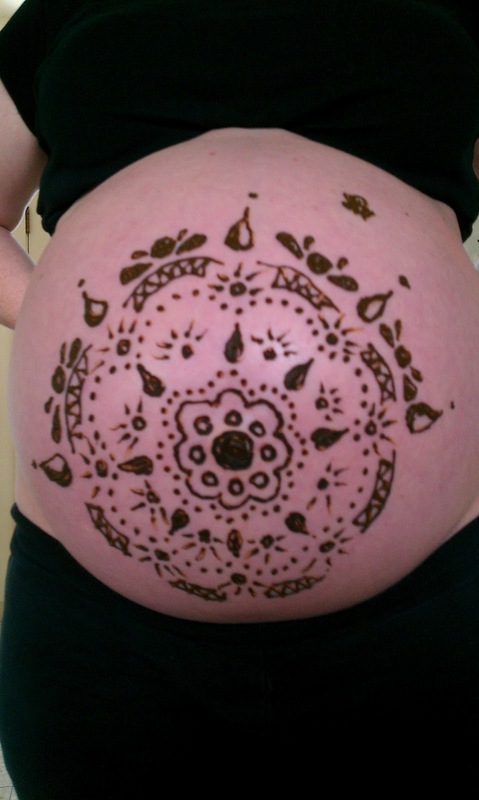 Belly Henna runs from $40-$70 depending on the intricacy of the design. 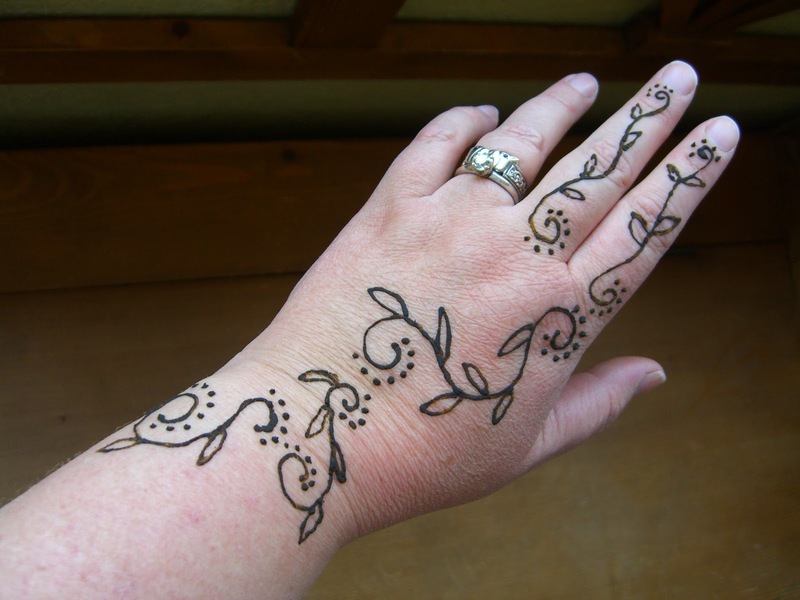 Belly Henna is also included in our Blessingway package and can be a part of the Blessingway ritual or done the day prior. Jill Fitzpatrick of Fitzpatrick Faces!